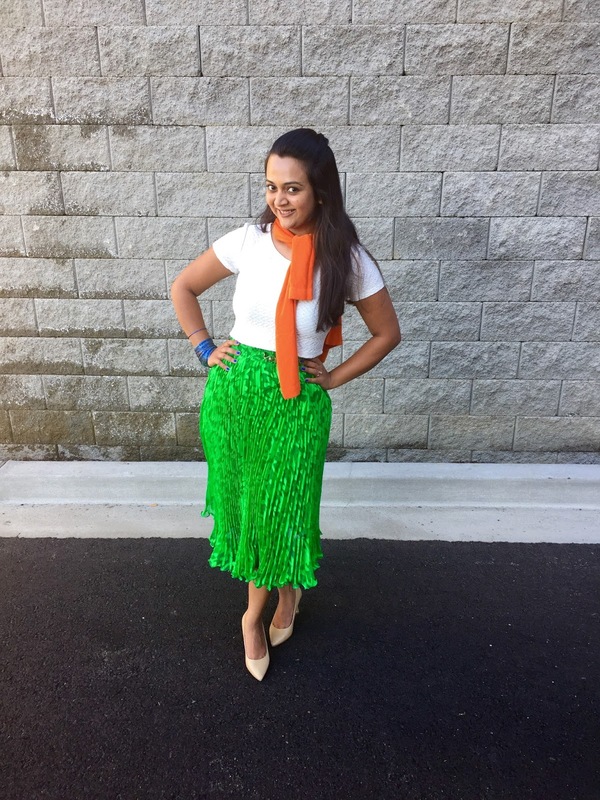 As promised I continue to pour in ideas to wear Indian flag colors inspired outfits. 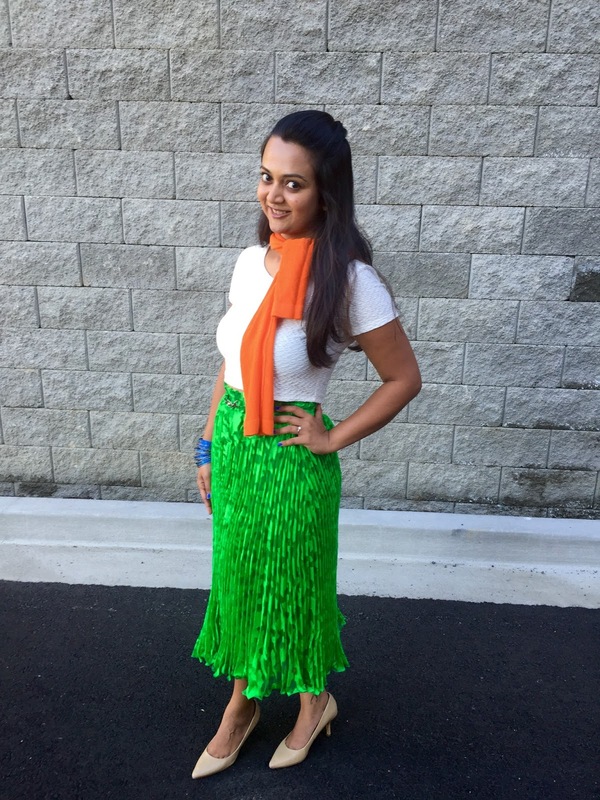 This is the 4th look for dressing up for Indian Independence day. This look is playful and chic. Since the green is so bright and attractive I have tried to tone down the other colors. I have added orange and blue in a small pieces, avoiding looking too loud. I love styling indo Western outfits and love it even more when its so well received by our readers. The pleated skirts are actually meant for those with thin toned legs and not for bottom heavy girls, but I like it too much to think of fashion rules. It does add more volume as it stands stiff but I like it anyway. I hope you have enjoyed this series, in case you missed reading other posts click Here ! At the end of the 4 part series, as a true patriotic I only wish and pray that my 'Mother India smiles, free from all worries' for today and forever ! Such a nice outfit! I love the colors! aww... that's so cute... Happy Independence Day! Love..Love..Love your outfit .. Specially that skirt !! You capture the colors so well in your outfit and accessories! Very beautiful photos and I also liked the way u displayed or poses here. 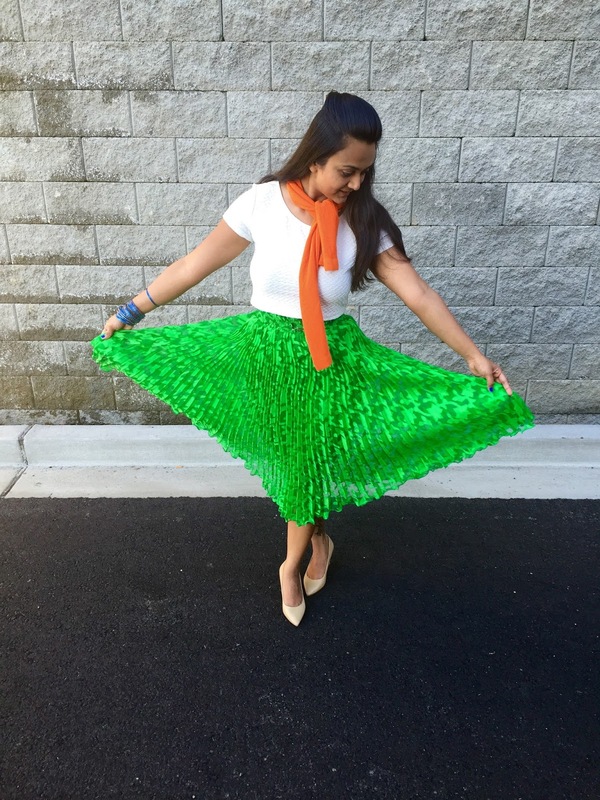 This skirt is a must-have! LOVE THE COLOR, so bright and positive! 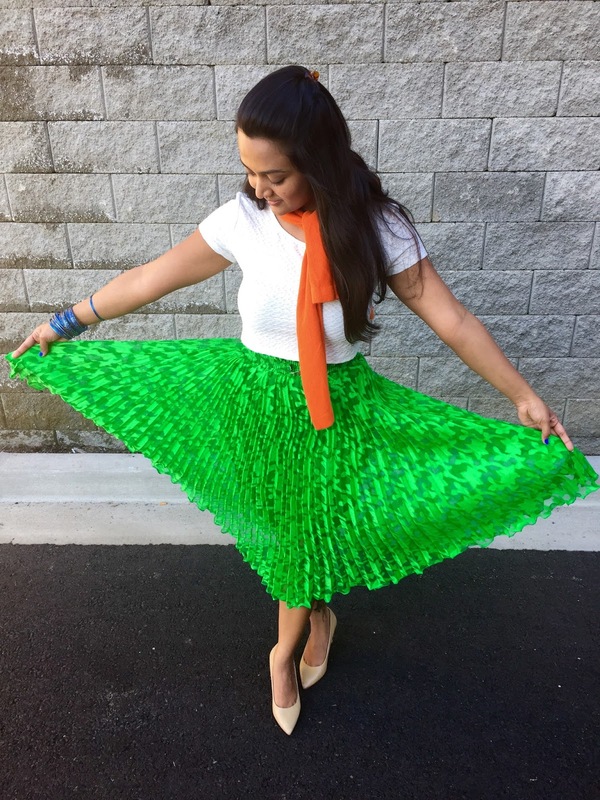 This green pleated skirt is amazing !!! Ananya...i saw other outfits also. But this one is best!! 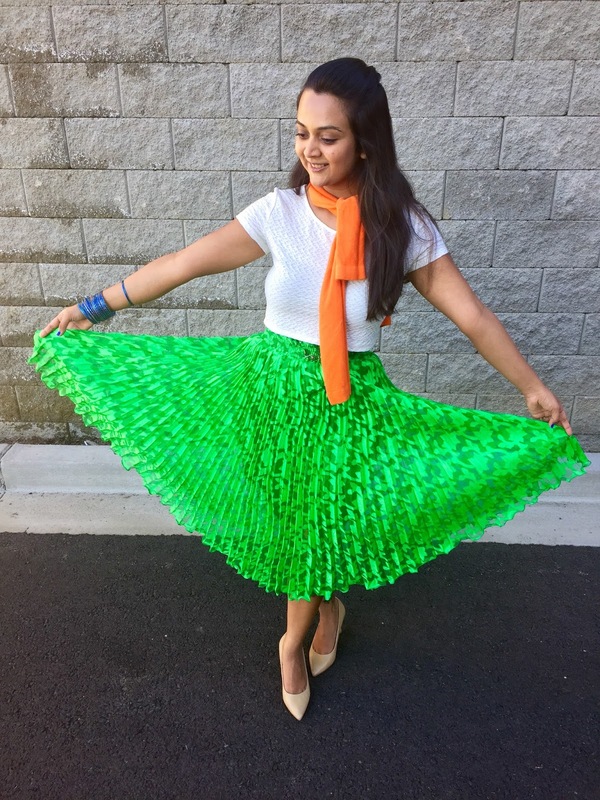 I Green skirt is really amazing one!! this is so bang on. love the green colour of the skirt. Looks so yummy. 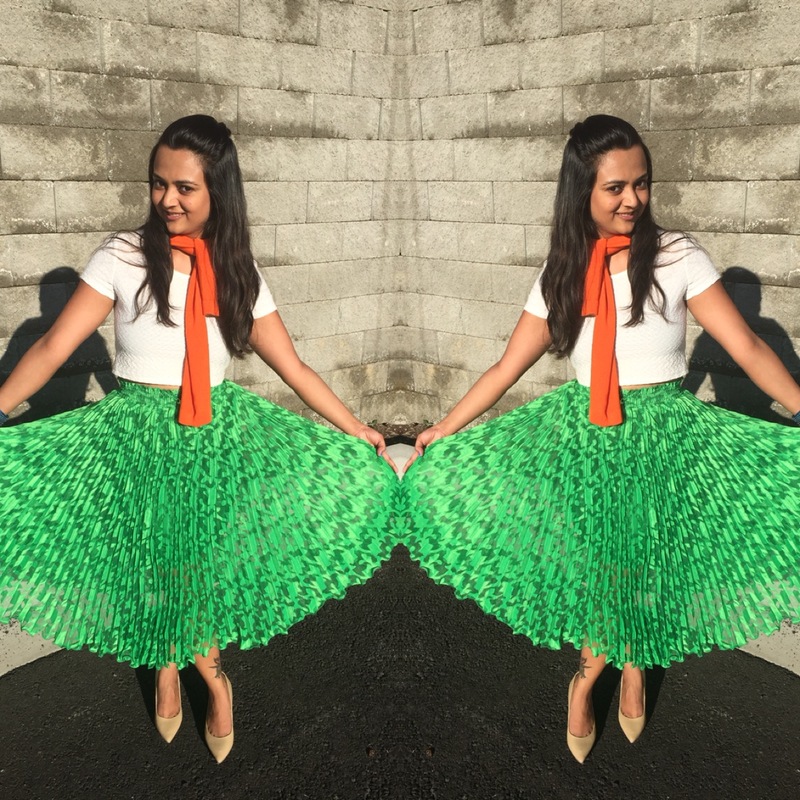 Totally in love with your skirt!!!! And the blue bangles is quite an idea!!! You look lovely! Happy Republic Day!